A fleet of unmanned boats is traveling from the Arctic to the equator, gathering vital data on climate change. The autonomous vessels -- called "Saildrones" -- resemble bright red surfboards. Each is fitted with a 20-foot-high carbon fiber sail, and 16 sensors that test variables including carbon dioxide, acidity, currents and water temperature. The drones, which cruise at a leisurely 3-5 miles per hour, are doing work typically reserved for manned research ships -- but for a small fraction of the cost. California-based Saildrone, which raised $14 million in funding from impact investors last September, says its drones can be operated for only 5% of the cost of a manned vessel. "Beyond its significant commercial demand in industries ranging from fishing to government, [Saildrone] is helping directly measure and thus combat the effects of climate change," said Chamath Palihapitiya, founder and CEO of Social Capital, which has invested in Saildrone. 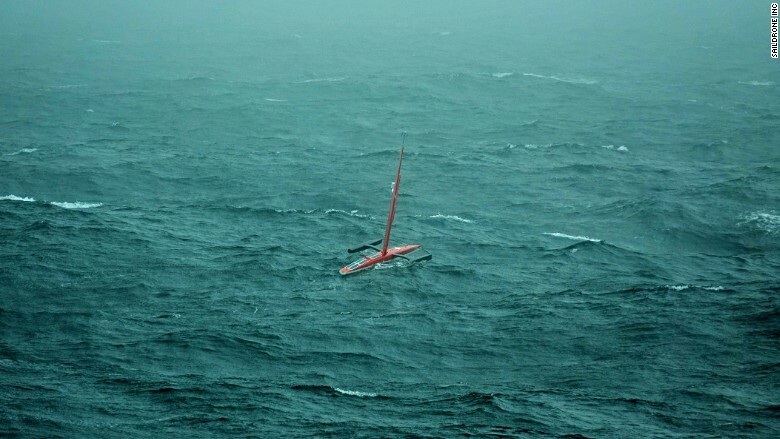 Saildrones are built to survive hurricane-strength conditions. It's not the only company producing ocean drones. Liquid Robotics, which is owned by Boeing (BA), makes surfboard-like "Wave Gliders" that are propelled by wave and solar power, rather than wind. The smaller vessels have logged over 1.4 million nautical miles. Saildrones, meanwhile, have logged a more modest 100,000 nautical miles since the company was founded in 2012. This year, the firm has deployed 20 vehicles for clients including the U.S. National Oceanic and Atmospheric Administration (NOAA). In July, NOAA sent two Saildrones on a six-month mission to the equator to study the weather phenomenon known as El Nino. Two more set sail for the Arctic Ocean to track melting ice and count fish, seals and whales. 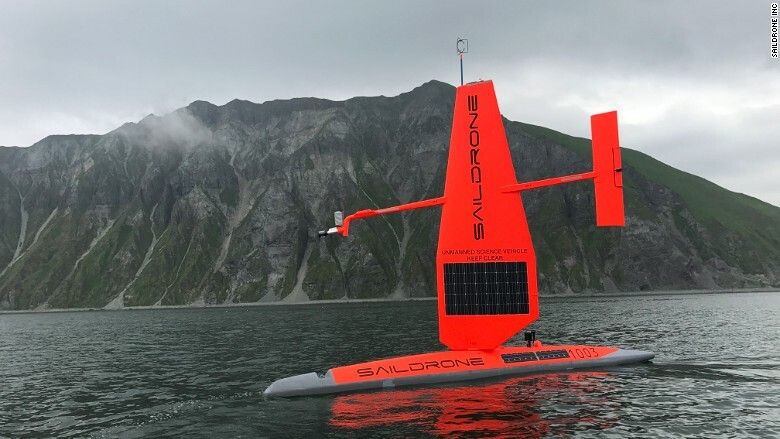 Saildrone also works with NASA to calibrate satellites that measure salinity from space, and the U.S. Navy to detect submarines that could be used to smuggle illegal drugs. "The idea is that a fleet of Saildrones can stay at sea essentially permanently ... and extend a sort of border control," said Saildrone COO Sebastien de Halleux. The company's ambition is to scale quickly. "Our goal is to deploy 1,000 Saildrones, and that would give us in real time -- in high resolution -- the pulse of the planet," said de Halleux.